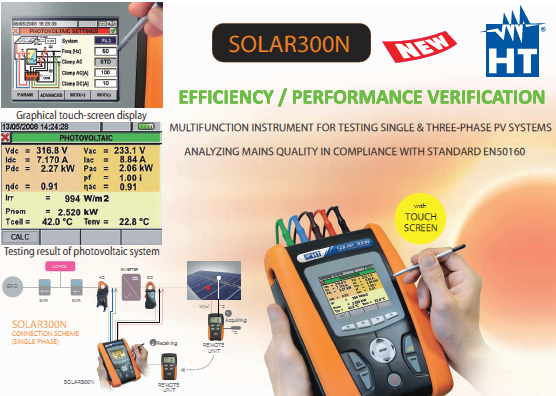 We offer full range of PV testers usch as solar multifunction testers SOLAR300N, I-V400, SOLAR IV, SOLAR200, MPP300. These instruments are not only designed for simple inspection of installations, they offer more. HT instruments enable you to effect correct power analysis in compliance with standards as well as take measurements of the IV characteristic of modules or strings. Unique testers for inspection and maintenance of photovoltaic systems.